ORDERS WILL NOT BE SENT UNTIL AFTER APRIL 29 BECAUSE OF EASTER ETC DELAYING THE POST. Salvia Specialist Nursery and Holder of an Australian registered GPCAA salvia collection..
My priority is for you to be successful growing salvias. I try to give you accurate information from personal experience or feedback. I am a world wide authority and can grow most salvias which not many sellers can because of climate restrictions. SPECIAL OFFER helpful to those who can’t decide or who don’t want to go through all the site. 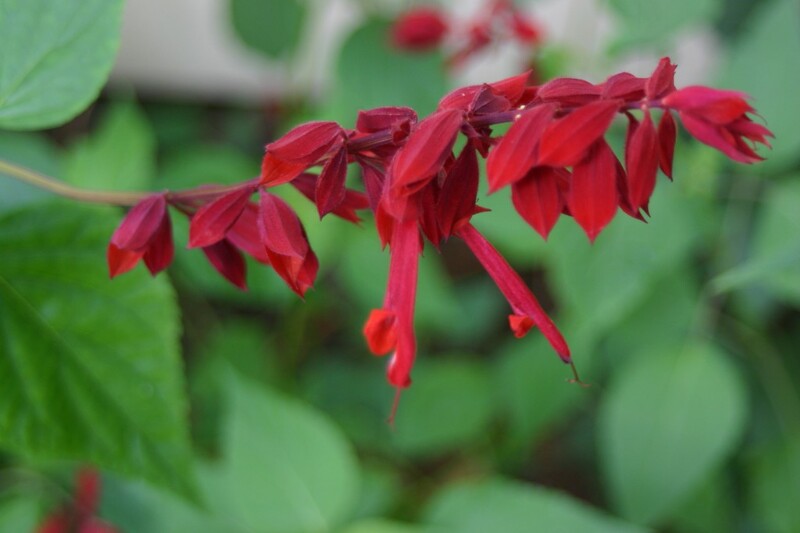 12 salvias OF MY CHOICE suitable for your climate, for the price of 10, plus postage.This is meant as an introductory offer, not a cheaper way to get a lot of plants! Find the Special 0ffer under ‘s”. The site is designed to provide comprehensive information on many varieties of Salvia. You will find a complete list under the ‘Salvia List‘ section. Most of these are for sale and a complete listing of what Salvias I have for sale is found under the heading ‘Salvias for Sale‘. These can be purchased directly from the site. When you make an order you will receive an email confirmation, with payment instructions (Bank Deposit through the computer is the most popular, Cheque or Money Order). You have to have the system set up with your bank so you can pay through the computer, otherwise it will have to be cheque or money order. Money orders cost $9.95 but if you are computer smart you can order a money order by computer and send by email and then it costs $6.95 If you make an order please be ready to follow it up, get your payment in and expect your plants to be sent within a week or so. I don’t like to hold plants. PLEASE NOTE: Sometimes when it is marked as available there might only be one left so if you want multiples it would be good to confirm before putting payment through. thank you. Many small growers grab anything they can call ‘new’ without knowing much about the plant. Some people love to put new names on salvias which causes terrible confusion for the gardener and me, when you ask me. Many nurseries also make innocent mistakes. There are getting to be very similar duplicates of many of the varieties of greggii and microphyllas which are advertised as being new. Not many sellers even know whether new plants are real spreaders. You can rely on me giving honest information with your best interests at heart and not just to make a sale. There can be mistakes in availability. By the time I come in to the computer I may have forgotten to change a listing. You might think you have a bad memory but wait until you are 80 and your short term memory is really bad! When I only have one or two of a variety or species I often don’t want to send one to what I think might be an unsuitable growing location and it might die. Some plants are requested more than they used to be since there are now good photos and I might not have planned for increased sales. I sell the most from March to October. I cannot increase my stock much during winter so stock is the lowest for the year by spring. If you can’t decide I can send you my SPECIAL OFFER of 12 plants for the price of 10 which will be suitable for your area but are my choice from what is available. The basic price will be $70 but you need to add on appropriate postage. The invoice system may not understand so you had better email me if it is not seeming to work. I am taking a long time getting the website how I want it. I also have available a Salvia Photo DVD with close up photos of around 200 species of salvias with some growing information if you want to look at the plants without being on line. Unfortunately it was made about 10 years ago so not real up to date but covers those that have proved their worth for many years. There is not a lot of demand for it as most people use the internet. Click here for details. Two sites that will also give you a lot of information are Robin’s salvias (UK) and Flowers By the Sea (California). Naming is often different in different countries so please don’t expect to be able to order everything you see on overseas sites!!! I have a lot of pages in the ‘Important information’ section to finish so if you have any questions please contact me via email: salviaspecialist@salviaspecialist.com I am hoping that when I finish all the pages I will cover just about anything I get asked. My business is almost all mail order which is what I prefer. I have to think of safety issues (hoses etc) if people call and other rearrangements. However if you want to make an appointment to visit I would really like you to have studied the plant list and have some idea of what you want. I can email you a copy of my hard copy salvia list which you can read straight through but with no pictures. It is also not a list which shows what is in stock. I have my plants mostly laid out to fit in with my propagation and not for people calling in and am not keen on visitors wandering at will. You will do best if you have prestudied and made a list. Photos are of course copyright and not to be used without permission from me. As at the beginning of January 2019 I have a lot of plants coming on.